I love Labradors cushion, superb 16" cushion capturing the personality of mans best waggy tailed friend the labrador. 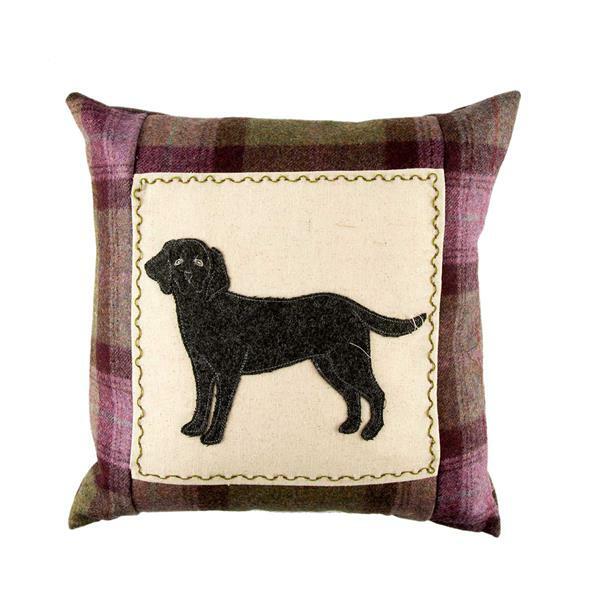 We have used a purple and green wool tweed reminiscent of a heather moorland to set our Labrador off perfectly. The applique itself sits centrally on a sqare of Osnaberg finished off with a very simple yet clever variation of a running stitch round the edge.